All of Avenues West Cobb parking spaces available. 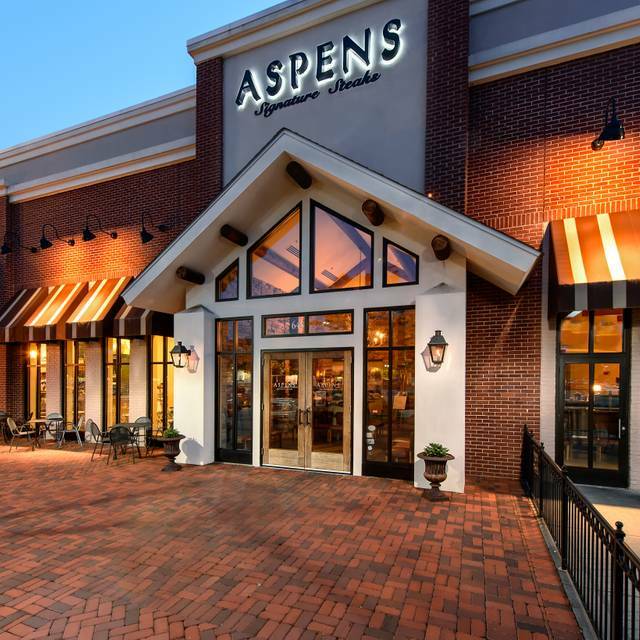 Aspens West Cobb is available for catering. Please contact the restaurant for details. We also have Theo's Brothers Bakery for delivery as well. Private room for 15 to 60 people. 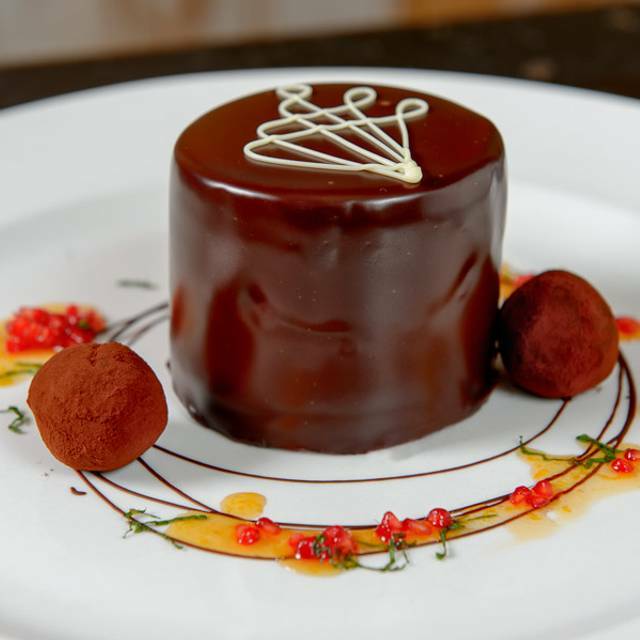 Aspens does perfectly cooked steaks, chops, shrimp, scallops, short ribs, salmon, innovative appetizers, decadent desserts and more! The food was very good but it was cold. They did not replenish the chafing dishes often so many times I would go up to the station and the dishes would be empty. I waited two hours for shrimp and none ever came. There was just a big bowl of cocktail sauce. The waiter was attentive. Also only found a banana pudding and should have been more choices for the money. Excellent food and ambience. We will definitely be back. Nice service and good food. Early bird specials are a good value. Six of us enjoyed the early dinner special. Our waitress was great, on top of everything. We all were satisfied with our dinners. Will be back soon. I have been twice and the food and service have yet to disappoint. A great full service bar as well for a quick afternoon get together. 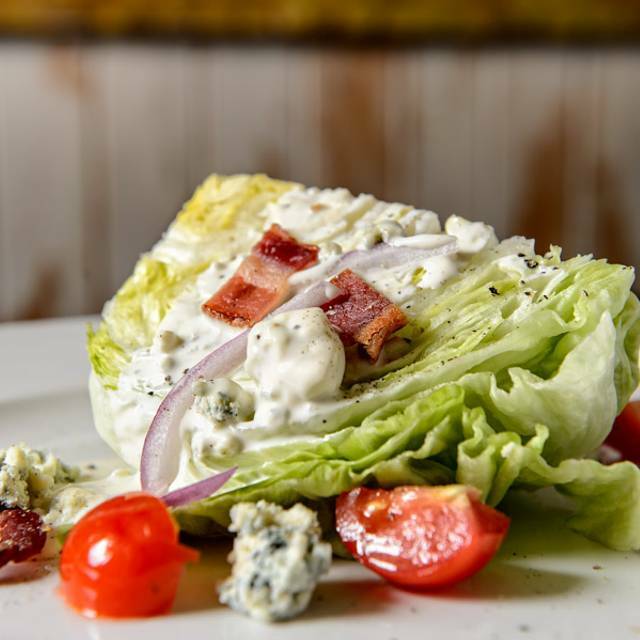 Aspen’s has such a great menu every day. Quite the place. We were seated promptly and service and server were great. Great food. Great attentive service. Very disappointing visit to Aspens. Haven't been there in about a year, so can't say if they were on an off night. Main concerns, server was not paying attention: did not bring the drink I ordered for my wife, split a soup i specifically asked to not be split. I ordered a medrare ribeye and friend ordered medwell ribeye. Mine was cooked perfectly, friends was closer to rare than mine (ordered as medwell). Had it refired and was eventually right, but a steak place should know how to cook a ribeye. Mashed potatoes were super bland and just meh. Noise was also really bad, could not hear anything our party was saying unless they were facing you directly. Probably just an artifact of sitting in the middle of the big room, but the acoustics were also disappointing. Probably won't go back. The atmosphere, food and service were outstanding ! 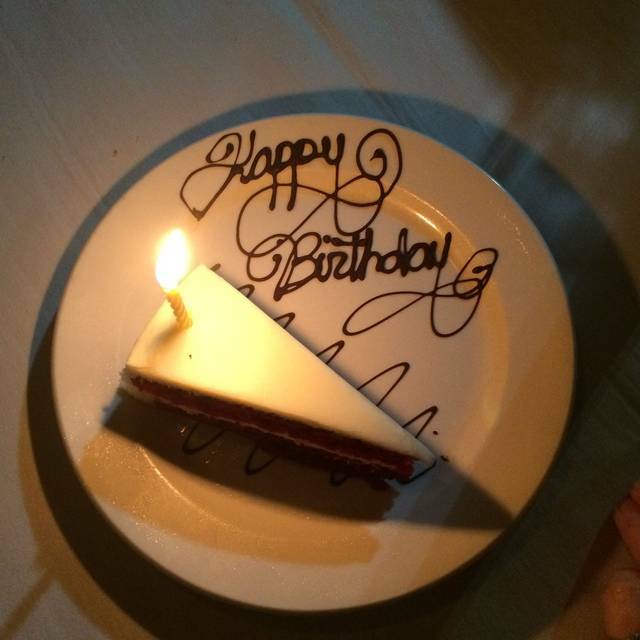 The service, food, and ambiance were excellent. The candle light at our booth was dim. We used our phone flashlights to read the menu. Our waiter offered to bring another candle. I used my sound app to check the noise level. It was moderate, and good for conversation. We will visit again. Our server, Chris, was amazing. He was pleasant and patient with our indecisiveness. Very attentive. It was my husband’s birthday celebration. And although he had an emergency work call and stayed outside most of the dinner, they were very accommodating and attentive. They held the meal until he came back in...which was probably 30 minutes. The food was amazing as usual and the service was spectacular. As I have said before. The dining experience was absolutely fantastic. Aspens have been a favorite of our family since the day that they opened. Service was truly excellent as was the food. A class act in dining. Thanks Aspens for never failing to deliver. My wife and I went there for date night. After a mix up with the table, which the manager handled who could it have been better, we waited at the bar. The bartenders were very rude and could not be bothered to get you a drink. When we finally got one to wait on us he got my wife a drink and walked away, after about 5 minutes he decided to come back and get me one. After we got to our table the waitress was friendly, the only thing here was she asked us to cut our steaks after they had arrived to see if they were cooked right. Other then that the food was outstanding and the waitress was friendly. We will try it again. Food was perfect. Best shrimp n grits from a restaurant. Love the look and feel of the place. Amber our waitress was an excellent server. We had a great table by the fireplace. Dinner was served at a nice pace. Food was excellent. Noise level able to talk. Sunday eve around 6pm is a great time to go. Super restaurant for all occasions. Billy Viger Dallas, GA.
Server spilled whole meal in a patrons lap. I never heard him say he was sorry. The manager never came over to the table either. Accidents happen but this was totally unacceptable the way it was handled. It was the second time we had been there. Food was good but not sure if we will go back. 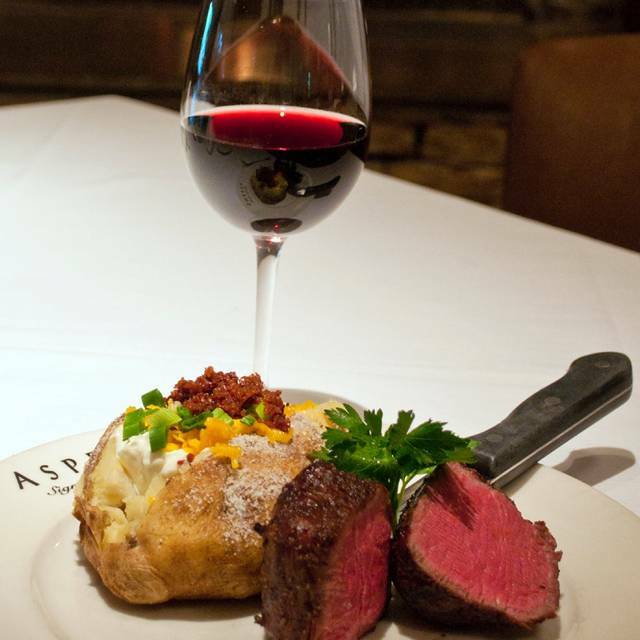 My loved one and I were celebrating my birthday, it was the first time we’ve ever been to aspens , the service was amazing and our food was probably the best steak we’ve ever had! Arrived 20 minutes early and where told to come back at our reservation time of 7:00. Millennials have a lot to learn about service and expectations. Lots of lights burned out on interior of restaurant in foyer. Not enough light to see menu at table- had to use flashlight on my iPhone to see the menu. Service was good as well as food. No really good reason to come back and drop close to a $100 for a meal. We had a reservation but we were stuck in the bar area with a bartender as a server. He was in the weeds the entire time we were there making drinks and not serving tables. Our table was so cramped for space that we could easily hear our neighbor's conversations. Our neighbor had an actual server that was prompt. They sat after us but had drinks and food out before us. Food was good, but a little overpriced. It's been several years since I had visited Aspens. Overall good experience, but service was a little underwhelming. My and I totally enjoyed our visit there. We will be back. 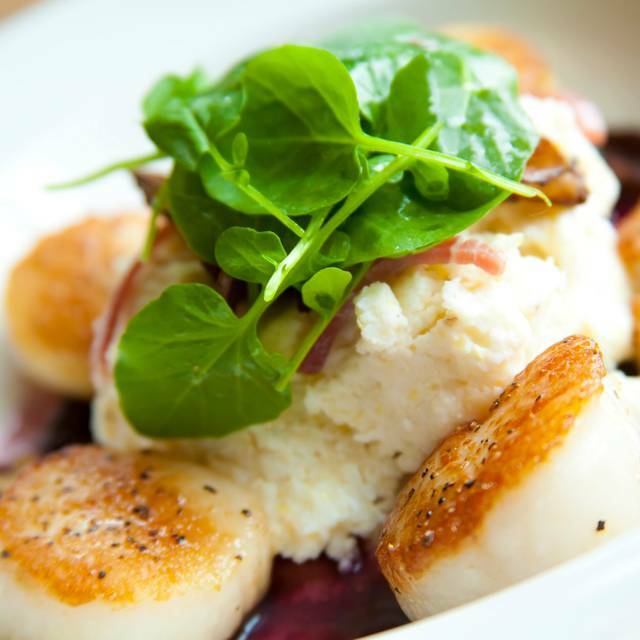 The food was delicious and the service was exceptional! Always enjoy dinner at Aspens. Service seems to always be good in restaurant and bar. Love the fireplace and dim atmosphere. Wine list is extensive and good cocktails too! Love the tuna "two ways." 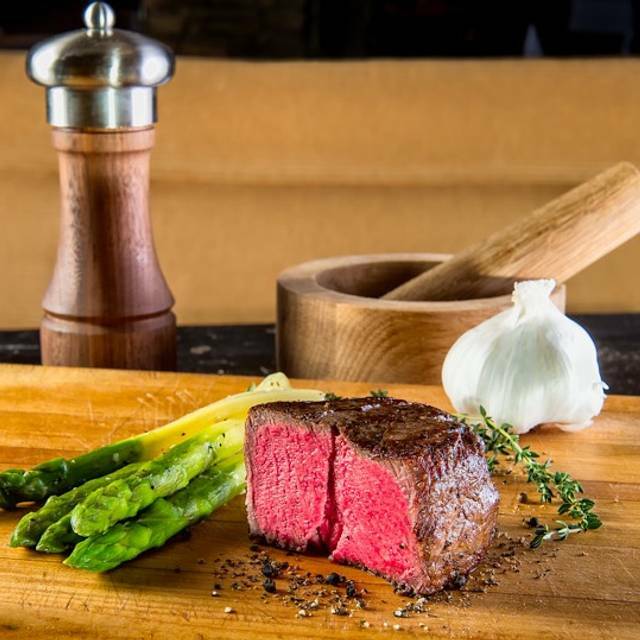 Steaks are amazing and chef will even do whatever is necessary for special dietary issues. Have been a long, long, time fan and patron of Aspens East and West Cobb! Lindsay is the best. Took great care of us! We celebrated Valentine’s Day at Aspen’s. We were warmly greeted, seated in a somewhat dark area of the restaurant but that actually was part of the ambience. Service was wonderful from Chris. Every course was impeccable! My wife’s filet was perfectly prepared as was my prime rib. The table next to us even commented on his bone in filet and how great it was. (High praise from a Texan.) Our table had a great view of the fireplace and with the dimmed lighting, made it a memorable Valentine’s Day experience. We did note at checkin that they were booked up and not taking walk in’s. I had reserved weeks in advance. Once again, fantastic food paired with average service. Overall good experience nice. The food and service were outstanding. We had a delicious dinner would definitely go again. Our waiter new his wines and I loved what he chose for me. We were seated promptly. The wine was very good the Steak and salad outstanding and the sauté' mushrooms were delicious.